Van de Weghe Fine Art is pleased to announce an exhibition of works by Carl Andre and Donald Judd. Both artists, key figures in Minimalism, utilize humble materials and simple, often repeated forms to interrogate how we experience material, time, and space. 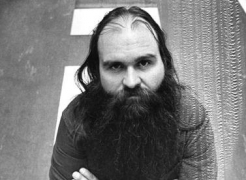 Carl Andre (b. 1935) started his career as a sculptor making carved, abstract forms with wood, influenced by the symmetry and verticality of Brancusi’s sculptures as well as the rigorous logic of the paintings of Frank Stella, whose studio he shared at the time. Andre ultimately refrained from carving in favor of arranging timbers of equal size in ways that emphasized the intrinsic logic of the material itself. He went on to use other elemental materials such steel, lead, copper and limestone which were processed into basic forms: blocks, slabs, ribbons, rods, and deliberately arranged by placing, standing, stacking or scattering. Andre’s work became more horizontal emphasizing the grounding force of gravity, which was what held the structures together. He is best known for his arrangements of tile-like forms on the floor and the exhibition includes two strikingly different examples of these. 81 Ace Zinc Square, 2007 is a sprawling plane of 81 zinc plates arranged in a square, its mottled metallic surface occupies much of the main gallery space. 6 Glarus Copper Integer, 2002 is a petite arrangement in brilliant copper. The sculptures create a definite sense of place, and are subject to the same natural laws as those that experience them. 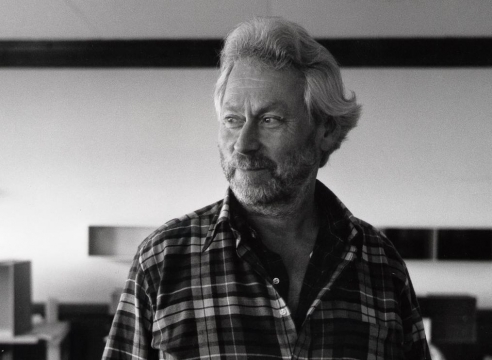 Donald Judd (1928-1994), began his artistic career as a painter, but ultimately eschewed painterly illusion and the concept of represented space in favor of art that he felt was more powerful, existing in real space and time. A prolific writer and theoretician, his seminal essay “Specific Objects” from 1965 argued for the autonomy of the constructed object and the space created by it. Judd engaged the vocabulary of the manufactured object by designing simple, elegant forms out of industrial materials: metals, plywood, concrete, Plexiglas, and by 1964 began delegating the fabrication of his work to professional artisans and manufacturers. He rejected classical methods of composition in favor of mathematical progressions and standardized proportions. Untitled, 1995, a “Swiss Box,” aluminum enameled in reds and blues showcases Judd's sense as a colorist, and displays an abiding sense of logic and order. Untitled, 1969-1970, a bull-nosed "Progression" in shining brass, is striking in its eloquent simplicity. There is no hierarchy of elements in Judd's work; form, material, structure, and color are on equal footing, harmonized and unified.